Ever thought why would you need business WordPress themes? As a businessman, you have endless things to look after. In order to grab some business online, you don’t have all the time to keep a watch on your website and see if things are working fine. What you need ultimately is a surefire platform that works flawlessly on autopilot! And that’s exactly what these business WordPress themes are for. They just take the burden off your shoulders. We have got you for these 10 best business WordPress themes. These handpicked themes are modern, possessing a professional look with various helpful features. You’re in luck, these themes have got best of both worlds in them! Harrington has got impressively nice and neat layout which is capable of stealing the show. At first glance, you will find mesmerizing animated, moving effects that come with a Ken Burns slider. This premium WordPress theme is rich in features. At the same time, it is user-friendly, in fact, you can install and configure the theme with one-click. 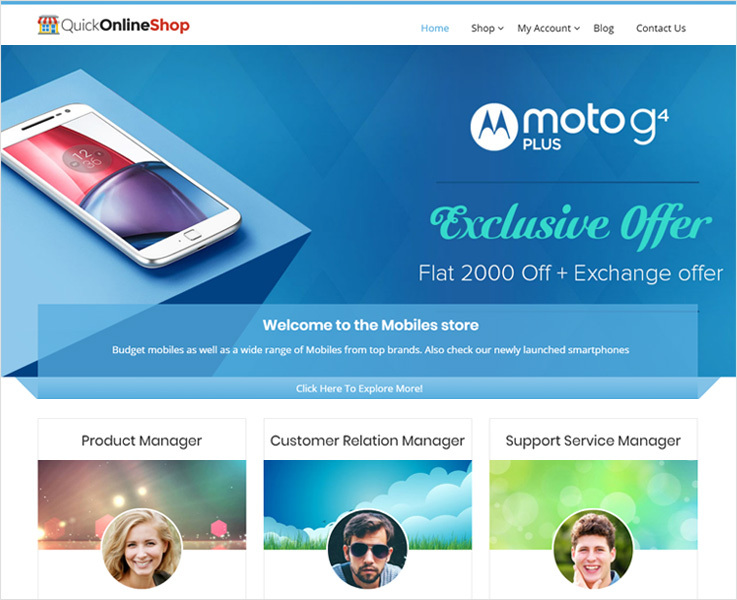 The theme enables customization to make personalization a breeze. Moreover, 8 different styling options, 3 column area, masonry design in gallery and blogs make the appearance more pleasant. With the social sharing icons and translation design, sharing your content with anyone and everyone becomes easier than ever. Furthermore, setting up an e-commerce store is possible with Harrington with its WooCommerce plugin. Harrington is one of those business WordPress themes that doesn’t disappoint in terms of features and appearance. 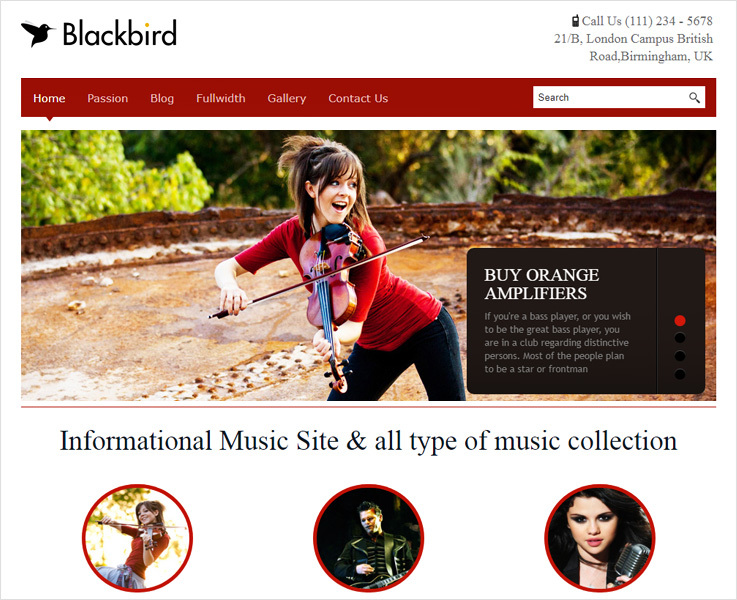 Blackbird is a multipurpose WordPress theme that is slick and goes easy on eyes. This responsive template has got a fresh look with 10 different color schemes. This look is optimized with lightweight assets such as slider design where you can showcase the videos, images or anything that you may like. 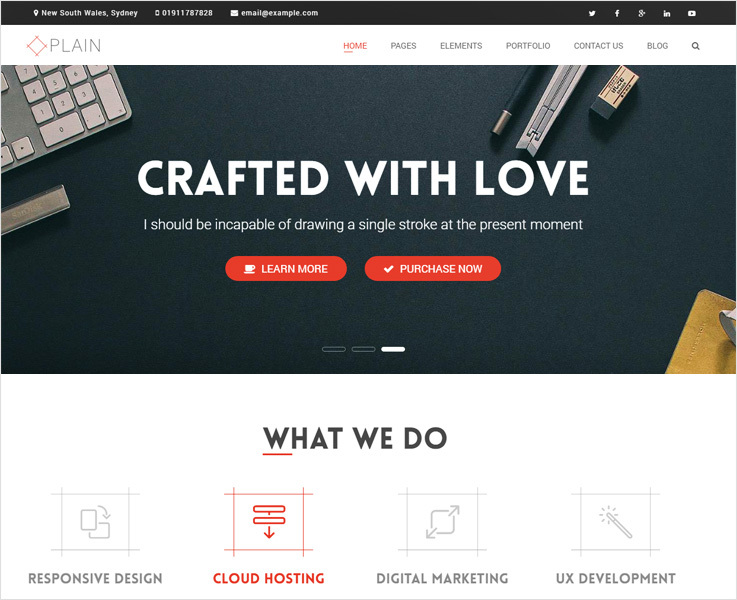 This WordPress template leaves a mark on the viewers by the crisp appearance. Looks aside, the theme comes packed with features such as lead capture form, easy installation, and configuration, a full-width template and more. This minimalist design fits well the businesses of any niche. You can take your touring business from zero to launch in no time with this web design. 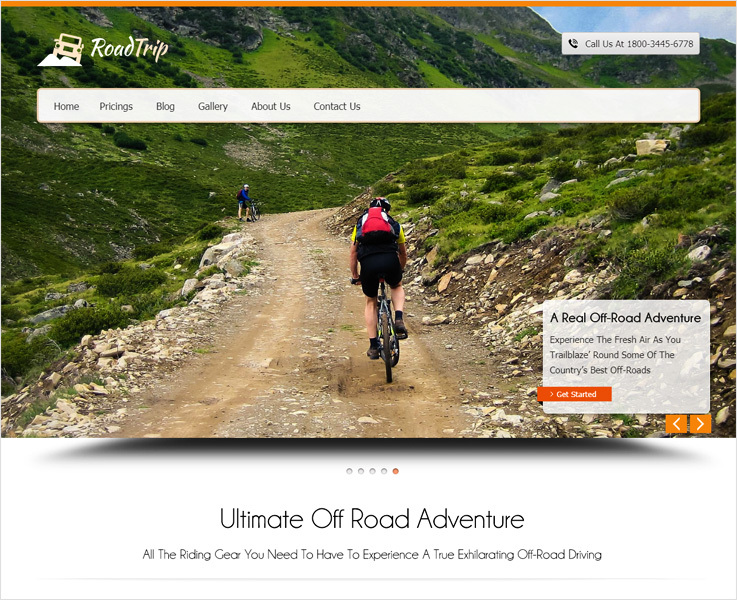 Road Trip is a completely responsive business WordPress theme with a full-width slider which grabs attention in seconds. Being honest, it is the best fit for your tours and travels business. As it has sleek photo galleries to display videos, images, a plethora of color skins, crisp typography, lively appearance and more. This theme doesn’t disappoint when it comes to features. It is multilingual and lets you customize the template the way you want. With social sharing, and Google Maps integration you can let people know about your expedition. It is one of those beautiful WordPress themes which is capable of pleasing every eyes. 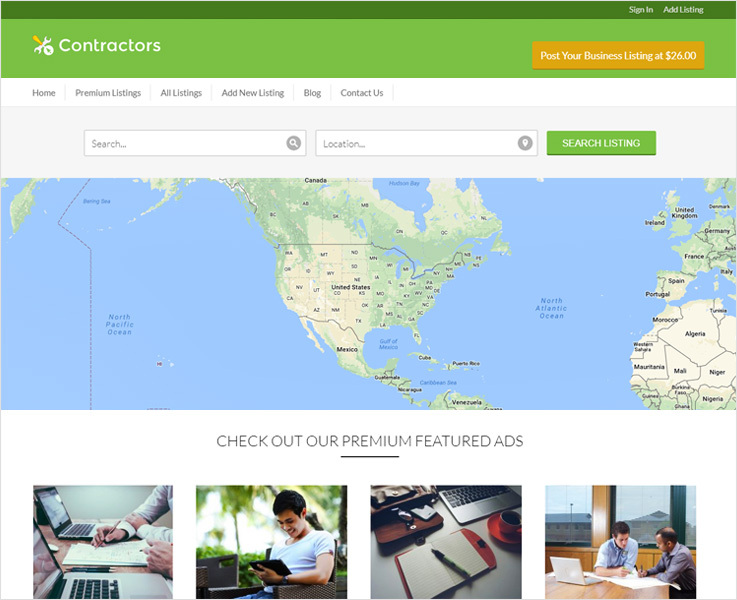 Contractor is a flexible construction WordPress theme which is apt for anyone who is into the construction business. This responsive WordPress theme packs a lot of features so that your website can be a top notch. The theme features a full-width Google map on the homepage which gives a uniquely fresh look. Retina display with a responsive design looks crisp on every device. You can do online business with ease as this theme comes with PayPal integration, ad banner space, payments management and more. This web design supports translation and has CSS, jQuery enabled and is build on W3C validations for slick functioning. 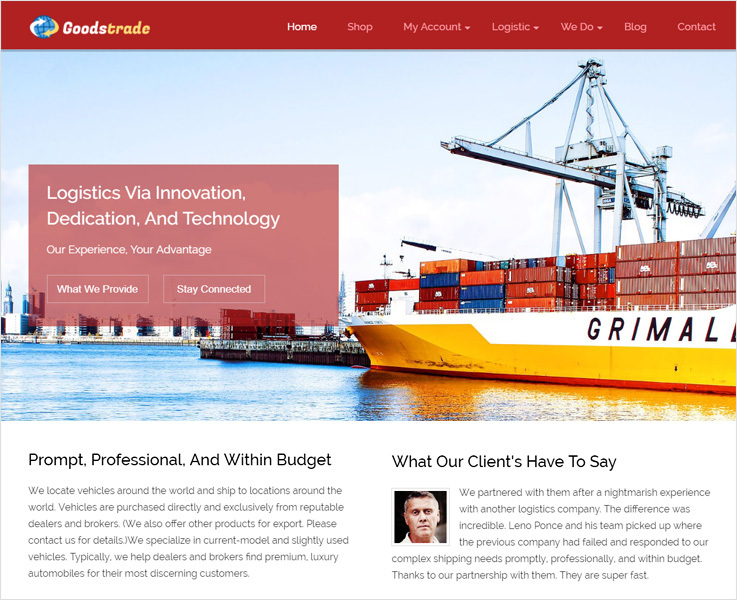 GoodsTrade is a trading WordPress theme you can rely on for branding your business in the digital environment. This feature packed theme is going to be the backbone of the digital vertical of your business. If you are looking forward to setting up an e-commerce store, you can do that as well with WooCommerce plugin that. A full-screen slider on a retina display with 7+ color schemes is captivating enough to hold the viewers. It is fully SEO optimized for better search engine results. You can custom tailor the website according to your taste without any third party developers or IT department. GoodsTrade doesn’t overkill with a myriad number of features though offers you enough to be the last theme you will ever need. For a multipurpose WordPress theme, look no further and get started with plain. Multipurpose WordPress themes often fail when it tries to be the ‘jack of all trades and master of none’. Thankfully, Plain is not one of those. Plain is customizable, trendsetting, with tons of functionalities and a fresh new look. On the surface, you will find retina display in a responsive design with 50+ business layouts, multilayer sliders, 30+ shortcodes, and a lot more. There are 5+ pre-defined layout variations with one click demo while with visual element composer you can take customization to the next level. With video and background parallax effects, the appearance becomes almost mesmerizing. However, when you move further, you will find Google Maps, Google fonts, WPML plugins integrated. These plugins give a crisp typography, translation support and more. Plain is framed on Bootstrap which makes it even better. In a nutshell, this is one of the best business WordPress themes to end your search. 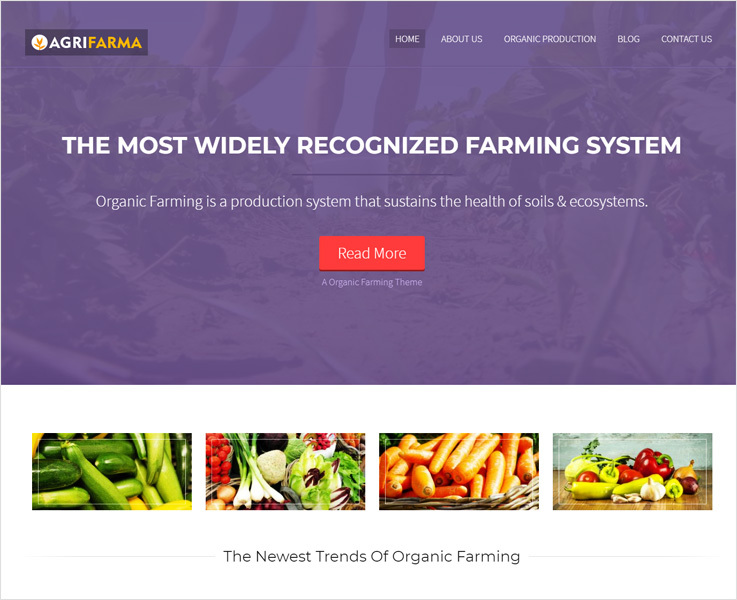 AgriFarma is an ideal farming business WordPress template. You can win your viewers on the homepage with a predefined video composer where you can set any image or video to feature. With this pre-loaded feature, you get two styles for the background viz. image and video. This theme is best-suited for Farmers, Home Growers, Organic Organisers, and Biotic Farm & Center. In this responsive web design, you get 8+ color skins with ad-banner space, customization options, and 4 column featured area. Also, the theme is optimized to the fullest to get you to the top of search engine ranking. The most noteworthy feature of this theme is the vibrant, crisp appearance, featured blogs with various visual effects. With AgriFarma, explore your business tactics by embracing methods which are different from others. If you are looking forward to have an extra passive income then QuickOnlineShop is worth a try. The theme comes with two interesting plugins- Amazon Affiliate Store and WooCommerce. Create an Amazon store, promote the products, and earn a commission. Yes, it is really that simple. Because with Affiliate Store creating an Amazon store is a matter of few minutes. You can start your own online selling website with the integrated WooCommerce and PayPal plugin. Import up to 250+ millions of products to your website and start selling now as with QuickOnlineShop a bonus worth $500 isn’t far. Talking about the appearance, it has 6 full-width sliders with 8+ color skins and 3 column feature area which makes the appearance catchy! This feature-rich theme along with catchy looks becomes a must have for those looking for a perfect business WordPress theme. 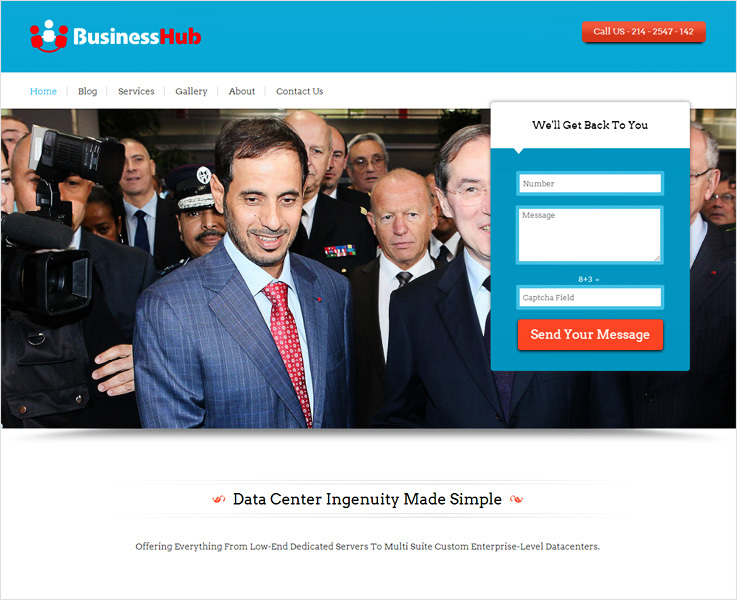 A corporate WordPress theme could be no better than BusinessHub. Everything about this theme is professional and top notch, be it the features or the looks. On first viewing, you will find a full-width slider with a lead capture form. These two different elements are blended together in a way giving it a professional, neat and comprehensive look. It is not overly filled with features. The retina display comes with a completely responsive layout with a 4 column area. It has a bunch of features to fulfill all the needs of a traditional business. Social sharing links, translation readiness makes it accessible for everyone around the globe. Furthermore, this SEO optimized theme is easy to set up and quick to install. Overall, it is one of the best WordPress themes for you if searching a theme for traditional or IT businesses. 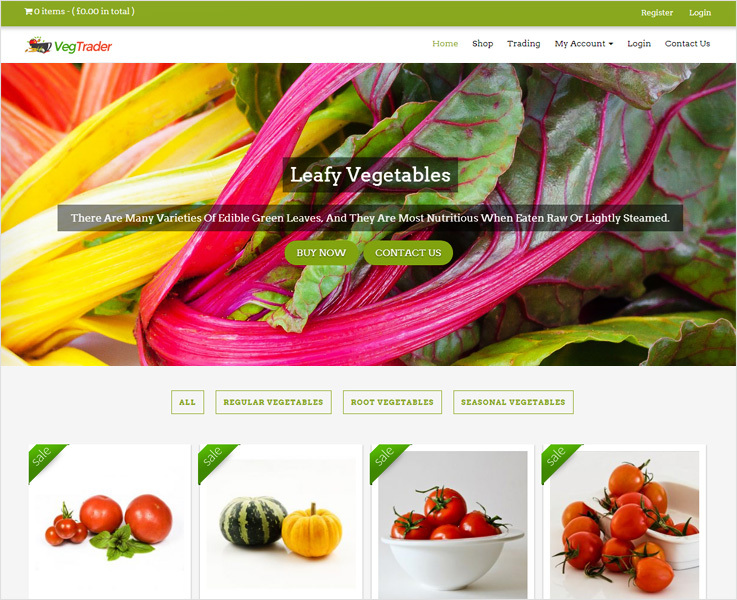 To start with an online trading business you can go for VegTrader business theme. You will find the glance of this theme fresh and unique with 7+ color schemes. This business theme is a fully responsive layout with 3 column feature area and a beautiful slider. PayPal integration enables collection and management of online payments. With WooCommerce support, you can create your own e-commerce store in few clicks. The theme is user-friendly and there will hardly be any instance when you will need third party developer support for using or customizing the theme. We got you for these 10 business WordPress themes. Moreover, we believe you must have found a theme for your business needs. And if your quest is still on and you are looking for more then have a look at this post. This is going to help you for sure!